This Australian Shepherd nicknamed Ivy sold and went to a new family. 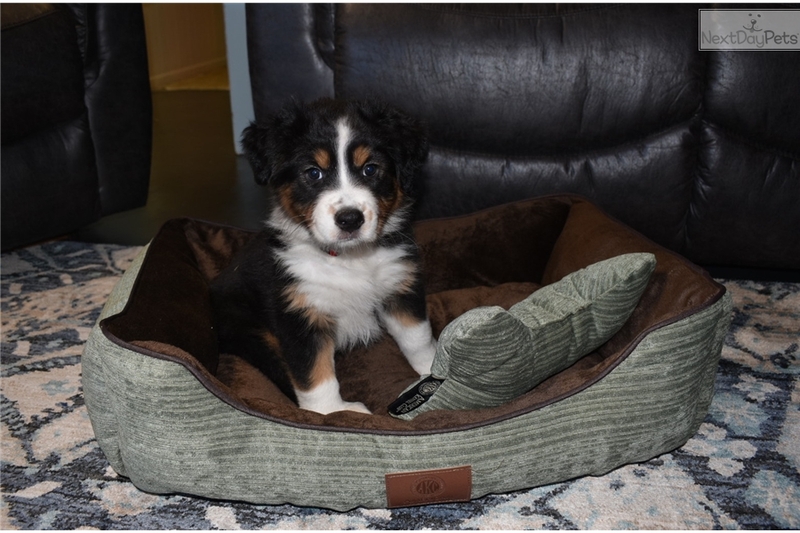 Family raised, AKC registered Australian Shepherds are ready for their forever homes! We just listed our puppies as we like to see how their personalities develop to better match with individuals and families. They just received their first puppy shot, and heartworm prevention. They are seen by a vet at birth and just before going to their new homes and come with a health guarantee. They have been raised in our loving home with the Puppy Culture Program. We invest a lot of time in our puppies with training and socialization. These puppies conform to breed standards with perfect markings. Parents have been health tested to ensure healthy puppies. They have been bred for intelligence, temperament, and conformation. Ivy is a very photogenic and loving girl! She is always ready to be cuddled and she is so full of joy! Ivy is perfect for someone who prefers an Aussie with a medium drive!